New Jersey’s Conscientious Employee Protection Act (“CEPA”) is one of New Jersey’s employment protection laws. 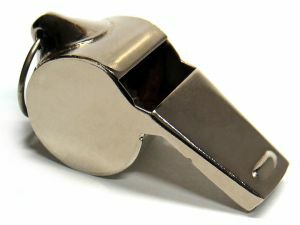 The Act, enacted in 1986, is often referred to as the “whistleblower law.” In fact, it is one of the most liberally interpreted and expansive whistleblower laws in the country. It protects employees from being fired in retaliation for the employee’s disclosure of or objection to a wrongful practice of the business or one of the business’s employees. In order for the statute’s protections to apply, the employee must disclose, object to, or refuse to participate in an act, policy, or practice of the employer which the employee reasonably believes violates a law, regulation, or public policy. Further, the employee must be fired, harassed, or otherwise retaliated against as a direct result of the disclosure, objection, or refusal. The employee does not even have to be right about her belief that the conduct is illegal or against public policy to be protected by the act. The employee merely has to have a reasonable belief of such. CEPA includes in its definition of “employer” any individual, partnership, association, corporation or any person or group of persons acting directly or indirectly on behalf of or in the interest of an employer with the employer’s consent. This differs slightly from the definition of “employer” under New Jersey’s Law Against Discrimination (“LAD”) which protects employees from wrongful termination or other acts based on their race, nationality, ethnicity, gender, age, or other protected classification. Under LAD, “employer” is defined as an individual, partnership, association, organization, labor organization, corporation, legal representative, trustee, trustee in bankruptcy, receiver, or fiduciary. However, the New Jersey Supreme Court (http://caselaw.findlaw.com/nj-supreme-court/1306540.html ) has specifically found that the LAD does not include supervisors or coworkers as employers. A supervisor or co-worker of an employee claiming an LAD violation may only be sued if that person aided, abetted, incited, compelled or coerced the wrongful acts prohibited by the LAD. However, under CEPA, the Courts have been somewhat unclear about whether or not CEPA provides for individual liability, or have merely been unwilling to make such a determination, until relatively recently. Then, beginning around 1999, the courts, more and more, began to find that CEPA does in fact provide for individual liability for agents of an employer, including supervisory employees. However, some courts have claimed that the supervisor can only be liable for a CEPA violation if the supervisor is acting with the employer’s consent or authorization. Still, this premise has yet to be thoroughly examined by the courts, leaving many questions unanswered as to the exact implications and requirements for the individual’s liability. McLaughlin & Nardi, LLC’s attorneys are experienced in representing both New Jersey employees and employers in whistleblower, retaliation and discrimination claims, and all aspects of their employment relationship, from hiring to firing, litigation and arbitration. To learn more about what we can do to help, please visit our website or contact one of our lawyers at (973) 890-0004.